As we were being herded along the tunnel like so many sheep, I whispered my apologies to my dear wife, who (perhaps quite rightly), gave me a quick dig in the ribs. I thus turned my attention to Holmes, who was now at my side. 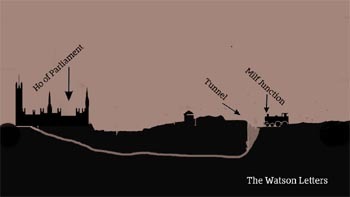 We had moved into the main part of the tunnel and were now forced to walk two abreast. In the distance I could see only the receding lights that hung from the ceiling in an unending line above us. From the diary of Doctor Watson. Sherlock Holmes leaned back in his chair and puffed on his favourite Meerschaum pipe (the one whose carved bowl depicted a mountain goat and an eager youth engaged in a variety of deviant pursuits). “Really, Watson? How ironic.” And he smiled that sardonic smile of his. Holmes made a tutting noise that I interpreted as meaning our police companion’s opinion was not worth listening to. I realised later that the particular tutting sound Holmes had uttered was the one signifying a failure on my part to have reached the same conclusions as he had himself. “Naturally,” said Holmes. (I noticed for the first time that my friend’s attention had not been absent from Lestrade’s features since we had arrived back at Baker Street). I shuffled round in my chair and turned myself towards the policeman. Lestrade sniffed and held the well-buttered muffin to his lips. “Is this margarine?” He looked at Holmes, then at me. Then at the muffin. 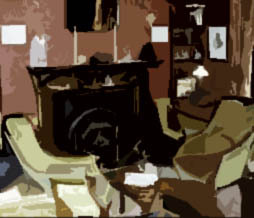 Which is when a rather strange thing happened – his arm began to descend back towards the occasional table beside his chair. He replaced the muffin on the tea plate and taking out his handkerchief, wiped his fingers. I glanced at Holmes, who glanced at me, then we both glanced at Lestrade. There was a long pause during which I began to feel the need to break wind. Thankfully, I was able to maintain my dignity by clenching my buttocks, since the expression of such an intimate bodily function in front of our guest would not have endeared me to my companion. Lestrade pursed his lips and raising both hands towards his brow, began to peel away the rubber mask that concealed his true identity. “Yes, I know it’s him,” said Holmes, with another sardonic smile. Then, leaping to his feet, he grasped the edges of his dressing gown and flung out his arms, displaying his massive weapon. “Bloody Hell, Holmes,” said I. “Indeed.” And in an instant he had whipped the Samurai sword out of its sheath and brought it down on Fu Manchu’s head. Or rather, within an inch of the little bald patch on the top of his head. “Oh, for God’s sake!” I cried. Holmes smiled, lowered his weapon and returned it to its sheath. Then holding out one hand towards Fu Manchu, made a little ‘come hither’ motion with his slender, but firm fingers. And with that, Fu Manchu turned on his heel and left the room. “What the fu…” I began. I shook my head, feeling that something important had passed me by. Again. The look of pure condescension on my companion’s face threw me into an absolute rage and before I could stop myself, I was swinging my arm back and would have given him a jolly good right hook, but as with many things, the action of raising my arm prompted a reaction, and I let out a rather sudden, and loud (and smelly), fart. Lestrade and I stood there for a long moment as the eyes of the mob stared back at us. Then with a deft movement, I unleashed my Anti-Moriarty device (a gadget I’ve been working on for some time) and my trusty revolver slid down my sleeve and into my waiting hand. I held the gun high, ensuring everyone could see it, and for about three seconds I actually believed we might overcome the hoard, locate Fu Manchu, make the necessary arrests and be home in time for tea. But alas, it was not to be so, for at that instant, Fu himself appeared at my feet – apparently having cleverly concealed himself in the very dirt we stood on. I turned to my companion with the intention of giving him a quick slap across the chops, but our opponent was even quicker and bopped Lestrade over the head with a small cosh. Even as I saw the inspector fall to his knees I knew what would happen next. It was dark when I came to. My first response was to rub my head but it seemed my hands were tied. Literally. I blinked and looked around. We were inside the warehouse, Lestrade lying on his side next to me, and a small Chinese man sitting on a chair a few yards away, pointing my own revolver at my head. I tugged at my bonds but they had about as much give in them as a banker at Christmas. “You cannot escape.” The man with the gun smiled. “However, my master instructed me to encourage you to try. Then I can shoot you.” He smiled again. 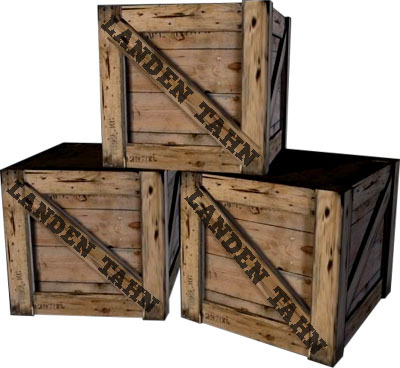 The space around us was bare, but the rest of the warehouse was packed floor to ceiling with wooden crates, all marked ‘Landen Tahn’. I was about to comment on the poor spelling when Lestrade stirred. “You alright, old bean?” I leaned over, hoping our captor would think I was merely showing concern for my companion, but in reality, I was reaching for the watch chain that dangled from Lestrade’s pocket. Muttering away in a calming tone as if I were offering medical advice to my friend, I was able to loop a finger through the chain. Giving it a smart tug, I pulled it free of his pocket and gathered the item into my stiff little fingers. Quite how I was to carry out the next stage of my plan was not, at that moment, obvious. It has been some time since I was able to put pen to paper in this most terrifying of cases, but as I sit here at my desk, I know that the Demon who has taunted us for the last few weeks will shortly be behind bars. Leaving Holmes in the care of the oddly named Dr Ormond Sacker and his team of virgin-like nurses, I determined to hunt down Fu Manchu and bring him to justice. 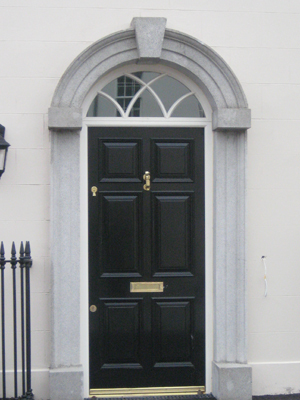 My first port of call was to accompany Lestrade to the house at No 1A, Hangman’s Lane. Needless to say, neither of us were surprised to find that not only the house, but in fact the entire lane, was no longer in existence. The room where I had been held captive was nothing more than a pile of rubble. “I fear our bird has flown,” muttered Lestrade. I nodded. “But we do have one clue…” I opened my bag and pulled out the carefully wrapped copy of ‘The Mask of Fu Manchu’. Opening the package just enough to examine the wording on the back of the book, I pointed at the name of the printer. “Ah, yes of course.” His newly acquired smile was replaced by the more familiar smirk. “In any case, I know where the place is – to the Docks! 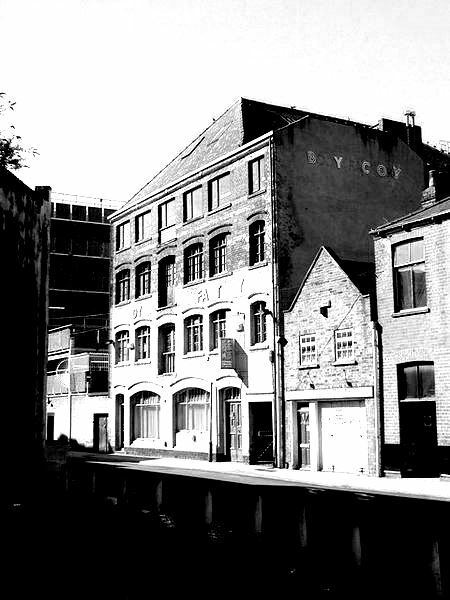 And so it was a mere thirty short minutes later that we approached a forlorn-looking warehouse by the River, and proceeded to circle the building to ascertain how we might gain entry. As we rounded the corner, any doubt that we had arrived at Fu Manchu’s hideout, was blown away like a puff of smoke up a particularly unsoiled chimney. There in front of us stood fourteen individuals of Chinese origin performing a strange, ritualistic dance. A moment later, all movement ceased as the eyes of the mob turned towards us.